Attorney Monzione began his legal career in California in 1981 as the protégé of the famous Melvin M. Belli, Sr., with whom he later entered into partnership in 1989. Practicing with Mr. Belli, dubbed “The King of Torts,” Monzione was consistently assigned the firm’s most difficult and highest profile cases, including cases with national exposure. After Belli’s death and some years working with the partnership of Brown, Monzione, Fabbro, Zakaria & Scarlett, Attorney Monzione decided to move back home to New England in 1997, to open a solo practice. In the course of his career, Attorney Monzione has been lead counsel or principal counsel on a number of legal cases which have resulted in multi-million dollar recoveries, settlements and verdicts, to an estimated total of close to $100 million dollars. Attorney Monzione has also been principal counsel for his firms in cases representing multiple clients where the recoveries have been in the billions of dollars, such as the Exxon Valdez oil spill litigation and the Marcos human rights litigation referred to above. In addition to his general practice, Attorney Monzione also practices entertainment law and has represented some of the world’s most famous movie stars, iconic rock stars, and other entertainers and members of the entertainment business and motion picture industry. Many of these attorney/client relationships are confidential, but some of the entertainment clients he has represented or worked with publicly include Muhammed Ali, Lana Turner, Zsa Zsa Gabor, Chuck Berry, Phyllis McGuire of the McGuire Sisters, to name just a few. He continues to represent people in the entertainment industry, from New Hampshire to California, and most recently negotiated motion picture contracts with SONY and Columbia, copyright agreements with CBS, and a number of book deals. In addition to his trial work, Attorney Monzione maintains a membership in The New Hampshire Association for Justice (also known as The New Hampshire Trial Lawyers Association), where he served as President (2010-2011 term) and as an officer and member of the Board of Governors. Attorney Monzione is also a member of The American Association for Justice , as well as several other professional associations, and sits on various boards of directors. 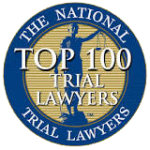 Attorney Monzione has authored published articles on a variety of legal topics for both lay and legal publications, and upon invitation, has given presentations and lectures throughout the country to attorney associations, physicians associations, pharmacist groups, and other professional groups and associations, and has appeared on several national television programs such as “Entertainment Tonight,” “Nightline,” “American Justice,” “Phil Donahue,” and others. Legal Assistant Ms. Kalled has been working at the firm since 2009, assisting the attorneys with the preparation of their cases and in the daily operation of the office and taking care of clients from the front desk. 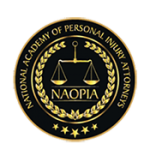 She is often the first point of contact for clients and is an efficient and helpful liaison to the attorneys. Office Assistant/Investigator Mr. Murphy has been with the firm since 2010. He is a former police officer and former Director of Security and Safety for St. Paul’s School in Concord, New Hampshire. He is the keeper of the records, responsible for maintaining client files, and provides investigative services when needed. Mr. Murphy is also a Justice of the Peace and a Notary Public. Each of these affiliate attorneys works independently out of his or her law firm, and can be brought in to assist or co-counsel on any given case or matter, but only upon the knowledge and agreement of the client, enabling The Law Offices of Paul M. Monzione, P.C., to handle virtually any case, no matter how large or challenging, without any additional fee to the client.